Software documentation is written text or illustration that accompanies computer software or is embedded in the source code. The documentation either explains how the software operates or how to use it, and may mean different things to people in different roles. Software testing is an investigation conducted to provide stakeholders with information about the quality of the software product or service under test. Software testing can also provide an objective, independent view of the software to allow the business to appreciate and understand the risks of software implementation. Test techniques include the process of executing a program or application with the intent of finding software bugs, and verifying that the software product is fit for use. The waterfall model is a relatively linear sequential design approach for certain areas of engineering design. In software development, it tends to be among the less iterative and flexible approaches, as progress flows in largely one direction through the phases of conception, initiation, analysis, design, construction, testing, deployment and maintenance. Structure is an arrangement and organization of interrelated elements in a material object or system, or the object or system so organized. Material structures include man-made objects such as buildings and machines and natural objects such as biological organisms, minerals and chemicals. Abstract structures include data structures in computer science and musical form. Types of structure include a hierarchy, a network featuring many-to-many links, or a lattice featuring connections between components that are neighbors in space. Planning is an objective of each and every activity, where we want to discover things that belong to the project. An important task in creating a software program is extracting the requirements or requirements analysis. Customers typically have an abstract idea of what they want as an end result but do not know what software should do. Skilled and experienced software engineers recognize incomplete, ambiguous, or even contradictory requirements at this point. Frequently demonstrating live code may help reduce the risk that the requirements are incorrect. A modeling language is any artificial language that can be used to express information or knowledge or systems in a structure that is defined by a consistent set of rules. The rules are used for interpretation of the meaning of components in the structure. A modeling language can be graphical or textual. 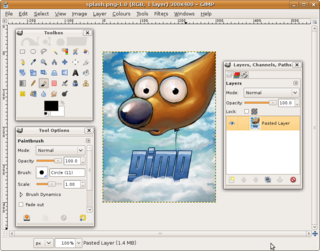 Graphical modeling languages use a diagram techniques with named symbols that represent concepts and lines that connect the symbols and that represent relationships and various other graphical annotation to represent constraints. Textual modeling languages typically use standardised keywords accompanied by parameters to make computer-interpretable expressions. A programming paradi gm is a fundamental style of computer programming, which is not generally dictated by the project management methodology (such as waterfall or agile). Paradigms differ in the concepts and abstractions used to represent the elements of a program (such as objects, functions, variables, constraints) and the steps that comprise a computation (such as assignations, evaluation, continuations, data flows). Sometimes the concepts asserted by the paradigm are utilized cooperatively in high-level system architecture design; in other cases, the programming paradigm's scope is limited to the internal structure of a particular program or module. Many programming paradigms are as well known for what methods they forbid as for what they enable. For instance, pure functional programming forbids using side-effects; structured programming forbids using goto statements. Partly for this reason, new paradigms are often regarded as doctrinaire or overly rigid by those accustomed to earlier styles. [ citation needed ] Avoiding certain methods can make it easier to prove theorems about a program's correctness, or simply to understand its behavior. Computer programming is the process of designing and building an executable computer program for accomplishing a specific computing task. Programming involves tasks such as: analysis, generating algorithms, profiling algorithms' accuracy and resource consumption, and the implementation of algorithms in a chosen programming language. The source code of a program is written in one or more languages that are intelligible to programmers, rather than machine code, which is directly executed by the central processing unit. The purpose of programming is to find a sequence of instructions that will automate the performance of a task on a computer, often for solving a given problem. The process of programming thus often requires expertise in several different subjects, including knowledge of the application domain, specialized algorithms, and formal logic. 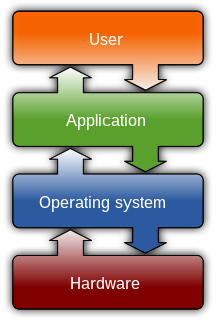 Computer-aided software engineering (CASE) is the domain of software tools used to design and implement applications. CASE tools are similar to and were partly inspired by computer-aided design (CAD) tools used for designing hardware products. CASE tools are used for developing high-quality, defect-free, and maintainable software. CASE software is often associated with methods for the development of information systems together with automated tools that can be used in the software development process. This is an alphabetical list of articles pertaining specifically to software engineering. Knowledge-based engineering (KBE) is the application of knowledge-based systems technology to the domain of manufacturing design and production. The design process is inherently a knowledge-intensive activity, so a great deal of the emphasis for KBE is on the use of knowledge-based technology to support computer-aided design (CAD) however knowledge-based techniques can be applied to the entire product lifecycle. LINC is a fourth-generation programming language, used mostly on Unisys computer systems. In software engineering, team programming is a project management strategy for coordinating task distribution in computer software development projects, which involves the assignment of two or more computer programmers to work collaboratively on an individual sub-task within a larger programming project. In general, the manner in which this term is used today refers to methods currently in vogue within the software development industry where multiple individuals work simultaneously on the same activity; in these systems, programmers are often grouped in pairs at the same computer workstation, one observing the other working on the software and alternating roles at time intervals. In computing, aspect-oriented software development (AOSD) is a software development technology that seeks new modularizations of software systems in order to isolate secondary or supporting functions from the main program's business logic. AOSD allows multiple concerns to be expressed separately and automatically unified into working systems. ↑ DRM Associates (2002). "New Product Development Glossary" . Retrieved 2006-10-29. ↑ CASE Archived 2012-02-18 at the Wayback Machine definition In: Telecom Glossary 2000 Archived 2005-11-22 at the Wayback Machine . Retrieved 26 Oct 2008. ↑ Xiao He (2007). "A metamodel for the notation of graphical modeling languages". In: Computer Software and Applications Conference, 2007. COMPSAC 2007 – Vol. 1. 31st Annual International, Volume 1, Issue, 24–27 July 2007, pp 219-224. Wikimedia Commons has media related to Software development .